This summer I am going on a baseball pilgrimage to Chicago with my friends at Point Above. When they approached me about sponsoring the podcast I clicked over to check out the trip and immediately knew two things: 1) I wanted to go and 2) If this trip is for you, then you will know it that quickly. I responded and got a chance to talk with Herb about the trip. 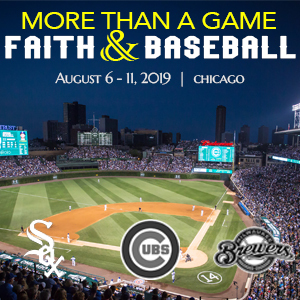 I am definitely pumped to head to Chicago this August. If you are interested let me know. It would be cool to take a selfie on home plate at Wrigley Field! !